Writing an Elevator Pitch during an Agile Project Kick-off helps distil your team’s shared vision for your product. Get an Elevator Pitch template and tips on writing your pitch. The Elevator Pitch exercise covers similar ground to the Press Release. The Elevator Pitch centres on your product’s unique selling point in the marketplace and distills it into a story you can tell in the time it takes to get to your floor. In contrast, the Press Release goes into more detail and focuses on benefits for both the customer and the company. Because of the similarities, at Boost we don’t necessarily do both in our discovery workshops. 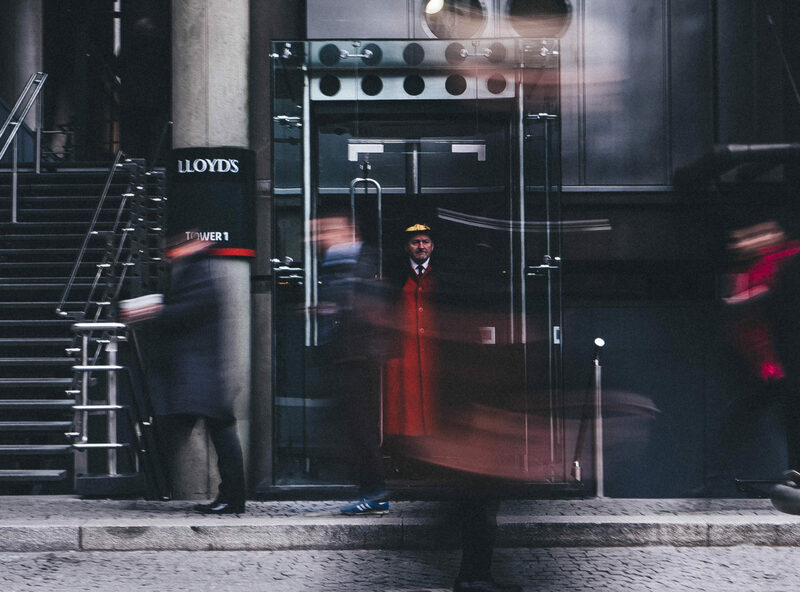 We tend to do an Elevator Pitch when we have a number of press releases which are quite different and we want to distil them all into a single concise statement that we can share outside the team. This means we sometimes make a spur of the moment call to work on a pitch after we’ve done the Press Release exercise. We use an approach based on the Elevator Pitch template from Geoffrey Moore’s book Crossing the Chasm. 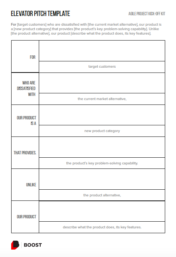 Write up the template on a large canvas like a whiteboard or flipchart paper. Explain the purpose of the activity then talk them through the different elements of the template. Ask the team to start offering their suggestions for each part of the template, working through it until you’re done. You might do a couple of drafts before you get something you’re all happy with. That provides uniform slices of bread straight from the packet. Our product saves time and provides a consistent toasting experience. This activity keeps you busy as a facilitator. You need to capture suggestions as the team call them out and then identify the consensus view based on the discussions. People can get hung up on finding the perfect wording. If this happens, try to get something that everyone is comfortable with but don’t let the discussion drag on. It can be a bit of a balancing act and the conversations around the right words are as important as finding the right words themselves. But if people are getting obsessed about the individual words and phrases, listen for the essence of their ideas and offer alternative phrasings. In the end you should have something that helps the team position the product in the market and promote it to stakeholders. And, when people at parties ask you what you’re working on, you’ll have an answer ready and waiting.